ATHOL, Idaho — North Idaho is already known for dozens of outdoor adventures. You can now add what’s called an “aerial obstacle course” to that list. The attraction, called Tree to Tree Adventure Park, is located within Farragut State Park. 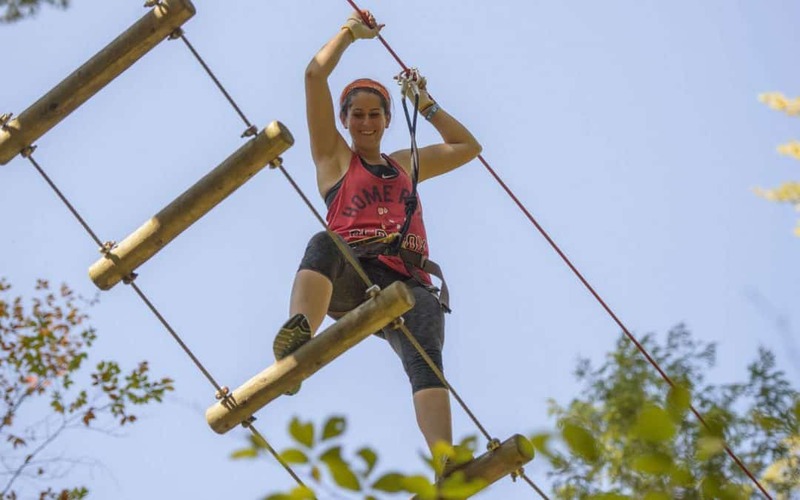 Tree to Tree features several ropes, bridge, and zip line courses ranging from a handful of feet above ground to 65 feet in some places. “It’s gorgeous out here. This is my office,” said Tree to Tree manager Dan Sullivan. The park features multiple self-guided courses with varying levels of difficulty for both adults and kids. Users wear safety harnesses and use magnetic safety carabiners that prevent climbers from falling. “You’re actually swinging through midair while you’re attached safely,” Sullivan said. Staff members guide users from the surface and can provide support if necessary. Unique features include swinging bridges and sliding platforms. The owners behind Tree to Tree previously opened parks in both New York State and the Portland, Oregon area. The Farragut location took two years of planning and permitting before being completed. Sullivan said North Idaho served as a natural fit for their newest park. “I like having people have fun on my course. It makes me feel good,” he said. Tree to Tree is set to open on May 19. Reservations are required ahead of time and can be made by calling the park visiting their website at www.treetotreeidaho.com. Admission costs $45 for adults and $35 for the two kids courses.